2 player card games are some of my favorite games in the whole wide world to play. I really enjoy them because there is typically not a lot of downtime in between turns. And also it’s nice that there are less people to interrupt the master plan that I have brewing in my head. I have separated this list into two sections. 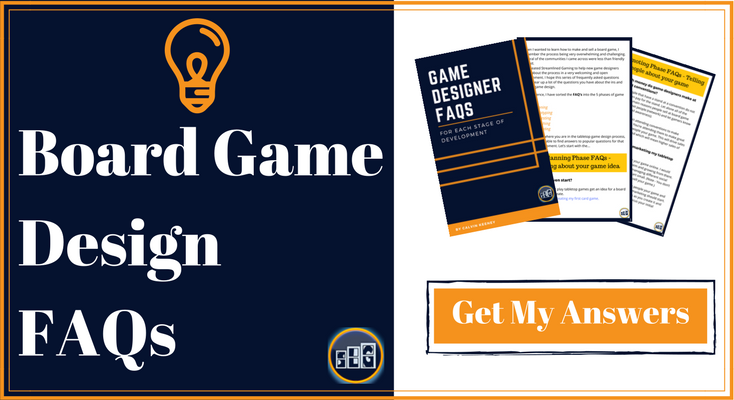 2 player card games that are easy to learn and quick to play. And also 2 player strategy card games for competitive board gamers to enjoy. The type of 2 player card game that I would prefer to play differs depending on my playing partner. However, if I had to pick for myself, I would choose one of the card games from the strategy section below. Though this first section has a lot of card games I really enjoy playing with my family and friends who may not be as into games as I am. *Note – This list does not contain collectible card games (they can be very costly). It also doesn’t contain fun card games that use a standard card deck (there are plenty of those lists out there already and I’m more into the more fantasy style card games). I really enjoy playing card games with my family. That’s actually what got me interested in competitive card gaming as I grew up. Though not all of my family likes highly strategical and in depth card games. So for them I like to play 2 player card games that are quick and easy. Star Realms is the first of 3 White Wizard Games on this list. It is also the first of their 2 player card games I’ve played. My friend Joe taught me how to play this at a local board game Meetup. I remember really liking it because it felt a lot like playing a competitive fantasy card game in that both players had health totals. You win the game when you bring your opponent to 0 health. Up until this point all the pure deck building games I had played were to see who acquired the most points. Though a lot of the deck builders I’ve played recently have added this mechanic into their game. But at the time, this was new and very intriguing to me. This is still one of my favorite 2 player card games on the market and I recommend it to anyone wanting to learn a good deck building card game. I played this fantasy version of Star Realms on the way home from the White Wizard Games fair 2017. This company (White Wizard Games) is the best board game company I think I’ve ever seen. They care more about their players than any company I’ve bought board games from or researched. Truly exceptional customer support. Hero Realms plays a lot like Star Realms but has a different feel and new strategies to try (new metagame for you competitive card players). My favorite deck to build is a white and blue hero deck. It tends to lose a higher percentage of time to the aggressive green and red spell decks but it’s still a lot of fun! If you end up trying out this 2 player card game, let me know what strategy you like the best in the comments below. I have several really good memories from this 2 player card game along with a really awful one. This card game is cooperative and has a really cool mechanic. Players can’t see their own cards but can see their teammates cards. Work together by communicating to your partner which cards to play and in which order. Create the best fireworks show to impress the crowd before the fuse burns out and all chaos lets loose. This game is truly magical when you and your best friend are working together to stun the audience. Though it can be truly awful when you are stuck with someone that puts winning over your friendship. I’m also a fan of playing 2 player cooperative games with my family because it teaches us to work together in a fun way. That may sound kind of corny but I believe it’s true. Especially in my family where competition and competitiveness reigns supreme. It’s nice just to simply work together on something even if that something is just dungeon crawling with your family member. I have played the original Codenames before. Though I haven’t played this 2 player version I would imagine it’s a lot similar. The original game was entertaining to me and I don’t even like word games all that much. So if you are a big fan of word games, then this 2 player card game should be just the right pick for you. As I mentioned earlier, my family LOVES competition. Especially my 2 brothers and me. So if you enjoy trading card games like Magic the Gathering, Pokemon or Yugioh, then this portion of the list is for you. Richard Garfield is like the Michael Jordan of game designers to me. He is amazing and has brought us innovative games such as Magic the Gathering and one of my personal favorites, Treasure Hunter. A lot of my friends that I have met playing various 2 player card games are in love with this game. I seeing them posting about it on Facebook quite often. They are super stoked every time a new set comes out and everything. I sat down to play it once with my friend but we didn’t get very far. It was quite a lot to learn by just reading over the rule book. But it’s still one of the highest 2 player card games I’ve seen and I am happy to play it once I have someone to teach me. There are also a lot of smaller expansion packs called “Data Packs”. My friend says they are a great addition to the game if you are wanting to save a little money. You can see a lot of the Netrunner Data packs here. This was my go to 2 player card game for several months. I would play this with anyone and everyone willing to play. It was really fun for me creating my own galaxy and getting cards to combo with each other effectively. The replayability with Race for the Galaxy is really good. Each game you start out with a starter planet and grow your colony from there. You can play this card game with more than 2 players which is a bonus. But I had so much fun playing this against my brother 1v1 that I had to add it to this list. My gateway 2 player card game was World of Warcraft the trading card game (WoW Tcg). It died many years ago and rose from the ashes as Hearthstone. But if I had to say I had 1 gateway board game, it would be Settlers of Catan. I remember my German professor telling me about this fun board game I would like called Settlers of Catan. Well he was right. I played that game so much for several years. My roommates and I enjoyed several games of Catan in college where I fell even more in love with board gaming. The original Settlers of Catan was not the best for 2 players though my brother and I tried a time or two. I only recently found out about this game but it is now my most wanted to play 2 player card game (being the “thinker” and lover of strategy that I am). And I hope it is even just half the fun I had playing the original Settler’s of Catan back in the day. Based on the high ratings and the company’s history of producing great experiences, I think it will be. My brother picked this game up at Gen Con 2016 and we played it the entire way home in the 16 hour car ride. And then we made our own EPIC world championship tournament during the holidays since we weren’t able to go to the real 1st ever EPIC world championship in 2016. Well since writing about that experience in our drafting game list, we were able to go to the 2nd ever EPIC world championship. There were 32 spots available and 29 were taken before the event even started. There were 3 last chance qualifiers to make it into the $50,000 main event. I was able to win the first constructed qualifier and get a spot at worlds 2017! Along with it a ticket into the 2018 digital EPIC worlds that will be held on the app. Over the course of the weekend I went 10 match wins and 3 losses. I managed to make it to the semifinals, lose and then make it to my flight on time. Drew and I watched the finals as we boarded the plane. It was a great event and well ran. Making it to the semifinals and getting the largest golden trophy I’ve ever made was really cool. It was also the 2nd largest payout I’ve received at any of the card tournaments I’ve ever played in (I got $3000 for making it to the semifinals. The only other paycheck I got that was bigger than that was winning DMF Houston when WoW Tcg was still around. I received $4,000 and other prizes there). I honestly don’t know how many hours Drew and I have played this 2 player card game. But it’s a lot! We have had so much fun and created some great memories like becoming one of the top 4 players in the world. And note, this game gives you all of the contents in the box/package. There is no randomization of cards in the packs. You only need to buy the packs/boxes 1x for each set. Or 3x each set if you want to play full constructed. They call this “The Shufflebuilding Game of Total Awesomeness!” on the box. That’s a very accurate description of the game in my eyes. A shufflebuilding game is a new term to me. And probably one that they made up based on this 2 player card game. Or maybe it’s a common term and I’m just out of the loop (which is likely). Either way a shufflebuilding game is where you take multiple decks of cards and shuffle them together. Creating a single deck. In Smash Up, your 1 deck of cards is created by shuffling 2 decks of faction cards. So you could have a deck of anything from Robots and Zombies to Pirates and Dinosaurs. I was really in love with this 2 player card game for a long time. Several months and then on and off for a year or so. The interactions and combos that can be created with the different decks are very fun. Players capture bases by placing their various minions on the base and scoring points. Level up your creatures power with exciting action cards that can be played from your deck. This card game is fairly simple to learn but has a lot of depth to the various decisions you can make throughout the game. I suggest this 2 player card game to anyone that likes great artwork and experimenting with different card combos. What’s Your Favorite 2 Player Card Game? So you’ve heard some of my favorite and best 2 player card games I’ve played. What are some of yours? Can’t recommend Epic and other White Wizard products enough! Great company and great products! I agree. Best customer service support in a game company I’ve ever seen! Jaipur. My wife and I both love to play it. Two great 2 player card games you might want to check out are Lost Cities and Battle Line. 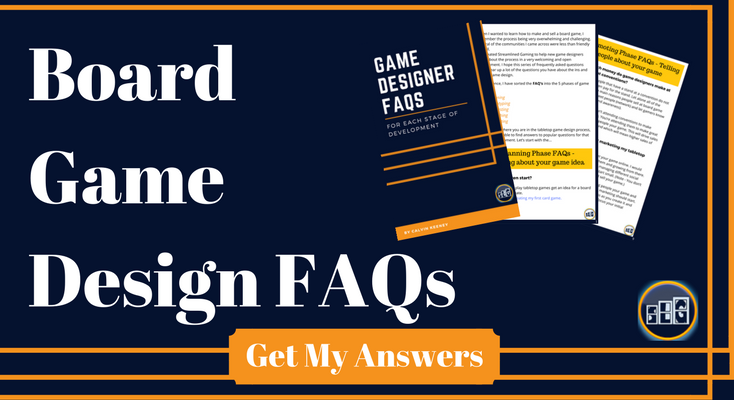 Both are very easy to learn and tend to be pretty approachable even for people not used to board gaming but comfortable with more traditional card games. Both involve a balance of luck and strategy, making the most of the cards you get to try to maximize your chances of winning. You should try out, Redemption. It’s the second longest running card game in print behind MTG.